Believe me it was my intention to blog sooner, but I've been wrestling with the kind operators over at Yahoo. Some not very nice person hacked into my friend's blackberry (or stole it) and in turn I couldn't log into my account. I tried but then I forgot the answer to my second security question. Did you know that they give you only three guesses? True. I did so well at the first security question too. Did you know that you can call back Yahoo as many times as you like but you still only get three guesses each time. They tried to give me hints because they were sick and tired of me calling and crying. So I've decided to have a contest. Guess GiGi's answer to her security question and I'll send you all the money in my recycled pleather wallet. WRONG. Unless you want 75 cents, that's okay too. Wowie let's have a real contest! Here goes. Here are the very official rules! 2. Contest starts right now. 1. What were your two favorite foods as a child? Can you veganize them? Have you? Would you like Veganville to veganize it ? Would you share the recipe? Oh yeah the prize is the adorable pack of vegan recipe cards at the top of this blog. They're from the terrific etsy store Myzoetrope Out of my hometown too! Go Brooklyn! Good luck everybody! Hey...give me back that 75 cents! Thanks for a contest! 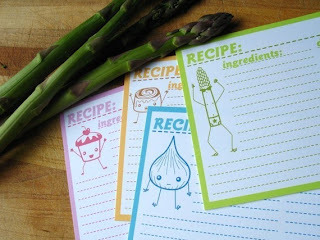 The recipe cards are adorable! - What were your two favorite foods as a child? Spinach with olive oil and garlic (Yes, I was a strange child. I was certainly destined toward veganism). The second was a deep fried onion and potato "cake" that my Mom made. Totally fattening, but YUMMY! -Can you veganize them? They are actually both already vegan. It is funny how my parents were so surprised when I became a veg. - Would you like Veganville to veganize it? It already is, but feel free to try both recipes out. -Would you share the recipe? Spinach- fresh or frozen spinach, olive oil, garlic, salt, and pepper- all sauteed together. Potato and onion cake- I am not really sure, but I think my Mom cut the potatoes into rounds and onions into rings and deep fried them. LOL! No healthy at all! Yum, Yum yum, Amanda. Thanx for playing! Thanks for the contest! My mom was from Texas so I grew up eating chicken fried steak with rice and cream gravy made from the meat drippings. After I went veg I started making fried portabellos instead, with rice and white gravy made from some kind of non-dairy milk. Still not happy with the gravy - I'm allergic to nuts so can't try cashews like I'd like. But the fried portabellos are outstanding! How 'bout a carrot gravy? 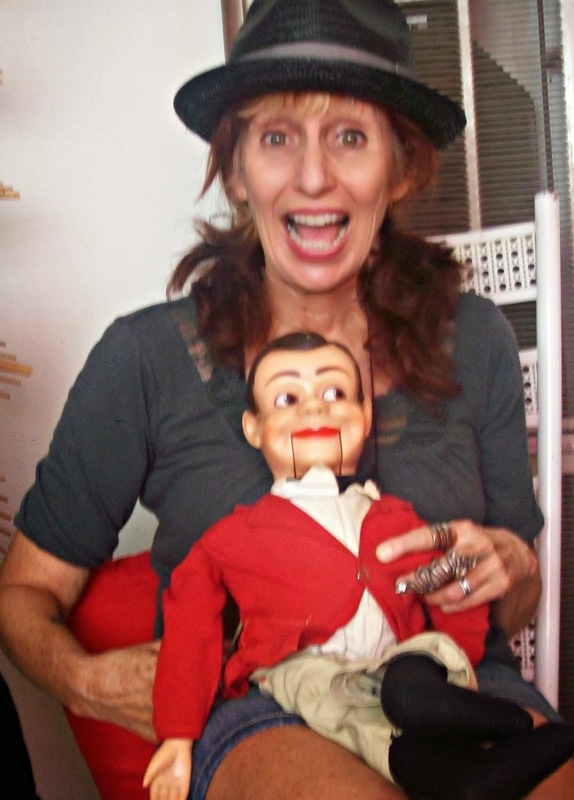 I have a stuffed portabello recipe on this blog. Heart them. Thanx for following! I loved beets- straight out of a can. Now I love them roasted w/ my other favorite veggies in some thyme and olive oil. Shrimp was my other fav food. Fried shrimp, shrimp with cocktail sauce, you name it. Been about 20 years since I've eaten shrimp and I can't stand the smell anymore. How would you veganize fried shrimp in a basket? They do make a vegan shrimp from tofu/mock meat. My fav food as a kid was peach pie & any fruits I could find. I used to sit very very long at the table, after everyone else was done, with cold meat dish of some kind still on my plate, def slated towards veggyhood. I can def veganize peach pie, but I'm gluten free, due to allergies so I usually make a peach crisp now or use rice flour to make it GF. Hey Big bad...My sister loved beet sandwiches with butter when she was a kid. I go to a vegan Chinese place and they do a superb vegan shrimp. (wheat gluten based) or like Heather said tofu.. I love fruit desserts too, Heather! Give me a crisp or cobbler anyday!